Wash, scrub and dry potatoes. Pierce each potato multiple times with a fork. Use a spoon to scoop out white potato of each remaining slice, leaving about ¼" thickness of potato in each. 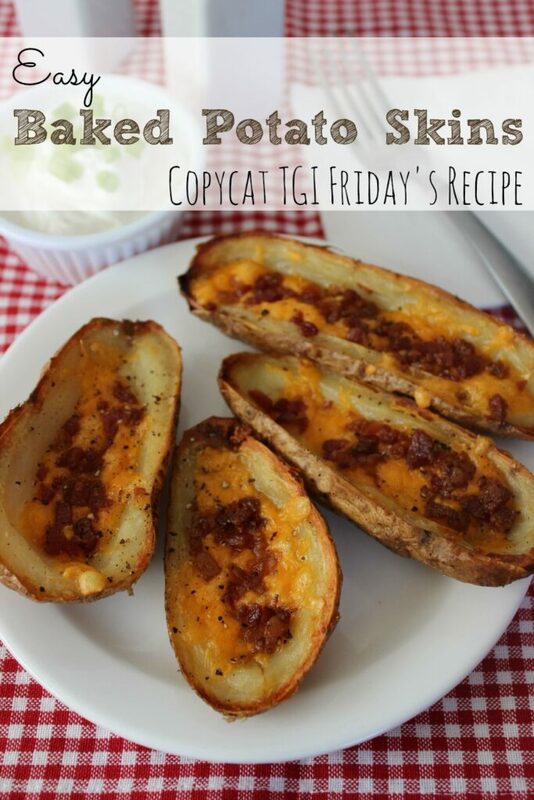 Brush potato skins with melted butter and bake for 25 minutes until crisp. Sprinkle with cheese and bacon and return to oven until the cheese is melted. Serve with sour cream and sliced green onions.